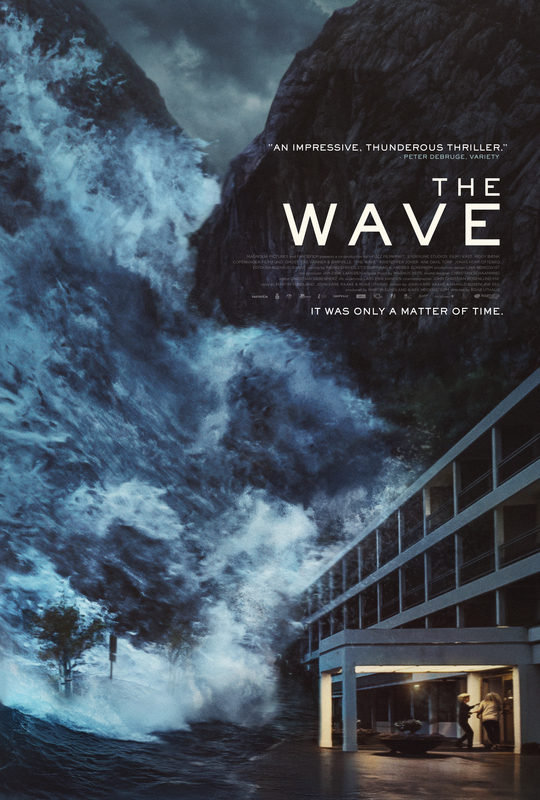 Terror and disaster strike in a brand new poster for Norwegian action movie “The Wave.” The disaster flick is directed by Roar Uthaug and stars Kristoffer Jonner as a geologist trying his best to save his townspeople from an impending tsunami. The movie is Norway’s official Oscar entry for Best Foreign Language Film. In the sleepy vacation town of Geiranger, an enormous mountain looms over the fjords as tourists kick back below. When a scientist discovers that a major geological event will trigger a tsunami that will destroy the whole town, he must convince everyone to head to higher ground or face dire consequences. “The Wave” will be distributed by Magnolia Pictures on March 4.